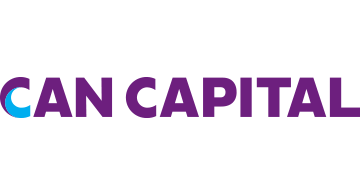 CAN Capital, Inc., established in 1998, is the pioneer and market share leader in alternative small business finance, having provided access to over $6.5 billion in capital for small businesses in a wide range of locations and different business types. As a technology-powered financial services provider, CAN Capital uses innovative and proprietary risk models combined with daily performance data to evaluate business performance and facilitate access to capital for entrepreneurs in a fast and efficient way. CAN Capital, an Inc. 5000 fastest-growing company, makes capital available to businesses through business loans made by WebBank, member FDIC, and through CAN Capital’s subsidiaries: Merchant Cash Advances by CAN Capital Merchant Services, Inc., and business loans by CAN Capital Asset Servicing, Inc.
For more information, please visit www.cancapital.com and follow the company on Facebook, Linkedin and Twitter.